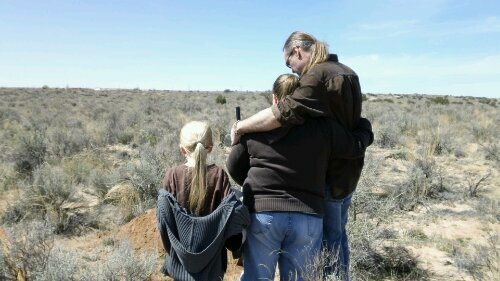 Our friend, Bonnie, took this at the desert grave of our beloved Moogle as we shared a moment as a family to say good bye before we finished burying him. We had him in our lives from July 30, 2010 to March 31, 2014 and he was the happiest and most loving member of our family every day of it. Adjusting Gaggia’s OPV to compensate for altitude? 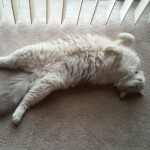 This entry was posted in Uncategorized and tagged bad news, our kitties, us by ABQChristopher.Bookmark the permalink.